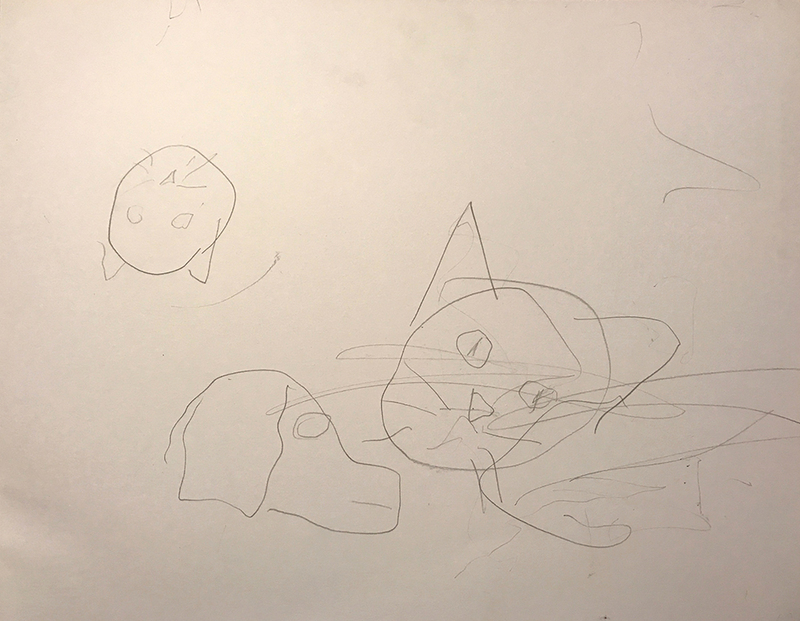 I came across some unfinished drawings made by my granddaughter, in scouring my stash for paper. I began my folding process and used some watercolor crayons to mark the creases. I didn’t have much of an idea about how to treat the original sketch, so I filled in the boxes, made by the intersecting lines, with low-key tones, with the exception of one of the cat’s eyes. I painted that red, to attract the viewer’s eye. I painted over the orange cat’s paw with the same red. I highlighted some of the pencil lines with charcoal. The drawing peeked out from the bars separating us from the past, but the it still appeared to be new and fresh. 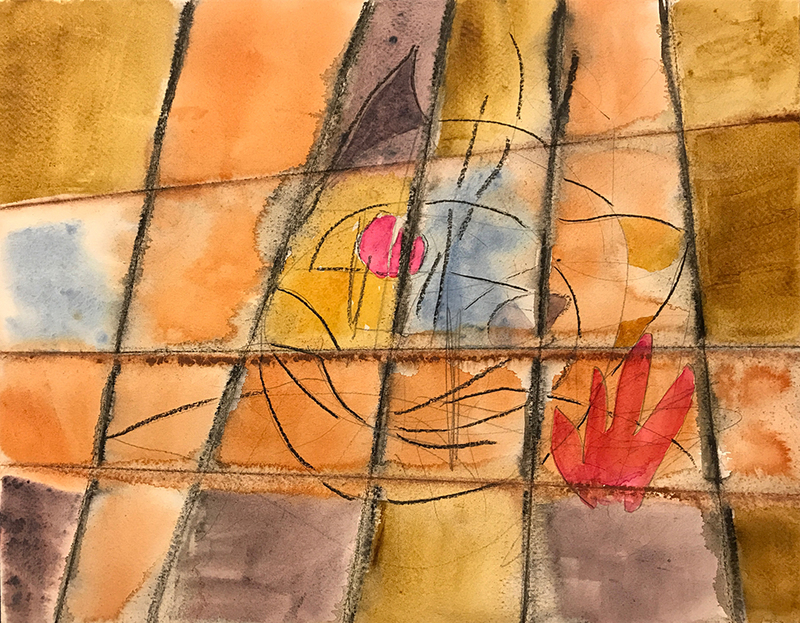 This entry was posted in Personal Stories and tagged abstract art, artistic process, creative process, creativity, memory, painting, palimpsest, the past, visual arts, watercolor. Bookmark the permalink.